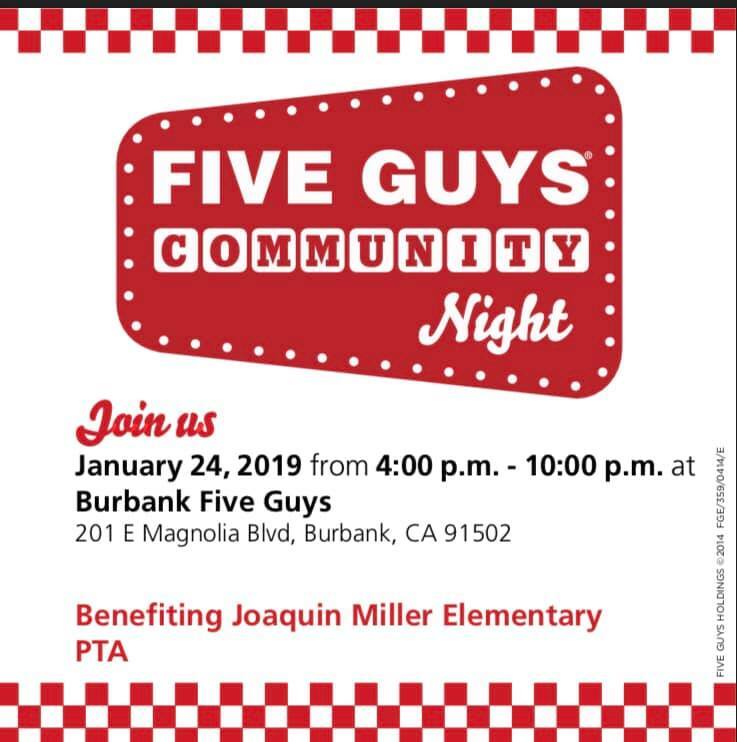 Miller’s Restaurant Night is this Thursday, January 24, 4pm-10pm, at Five Guys in the Burbank Town Center. Flyers are going home this week. Please support our school by bringing the flyer, and Five Guys will donate a portion back to Miller PTA.